My Hero Academia game adds more platforms outside Japan. 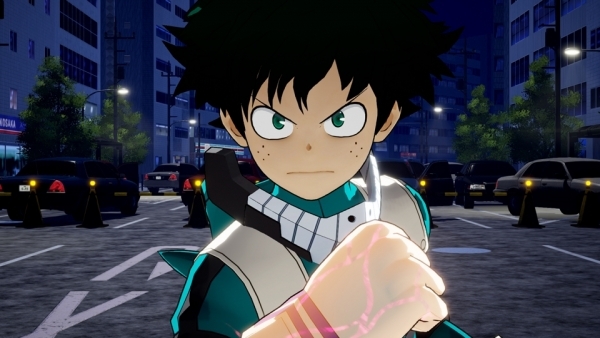 My Hero Academia: One’s Justice will launch for PlayStation 4, Xbox One, Switch, and PC via Steam in the Americas and Europe in 2018, Bandai Namco announced. In Japan, My Hero Academia: One’s Justice will launch for PlayStation 4 and Switch in 2018. My Hero Academia: One’s Justice is a battle action game featuring “massive stage destruction” on the ground and in the air by using walls and buildings around the stage through the use of superhuman powers called “Quirks.” Read up on everything we know about the game so far here. Watch the debut trailer in English below. If you missed it this weekend, catch some gameplay footage here. View a set of screenshots at the gallery.